We asked, and you delivered! 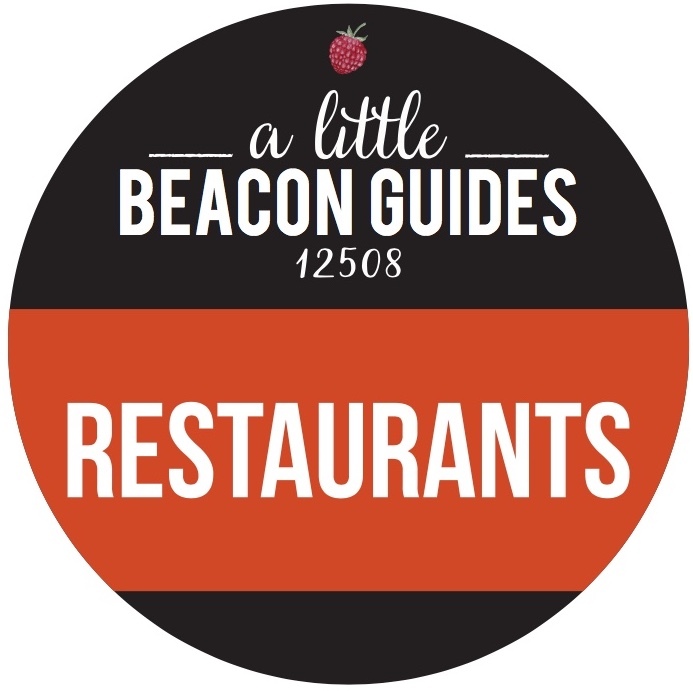 We recently put out a call to share with us your view of Beacon. This is in light of the recent new building developments sprouting all over Beacon. The subject of “viewsheds” has come in recent City Council meetings and this is playing a role on future potential developments. So, we thought we’d all enjoy looking at views we like! Keep your photos coming! We will publish new ones here, so revisit this article and click Refresh. To submit, email to editorial@alittlebeaconblog.com. Please state the location of the picture, and why you love it. The view can be from the street, from your porch, from your apartment, of a scenic view in the woods, anything. One of my favorite views is of the Hudson River is from Main Street. I have always liked being able to see it from 9D. The river becomes an everyday part of life. Having lived in Manhattan, the Hudson River was not part of my life, unless I was walking along side it. Living in Beacon, with the Hudson River within easy distance, has changed my relationship with it, bringing me closer and wanting to keep it clean and accessible. The first snowfall of March for 2019 has fallen onto lilac tree buds and hyacinth shoots. Fear not, they have been covered before. The snow fell heavy and wet onto warm (well, not super-cold) ground, temperate from the Sunday before when the days had just started to warm up a bit. Schools in New York City are closed, with a Hazardous Travel Advisory issued by NYC, according to WNYC. Most schools in the Hudson Valley are on a two-hour delay, with some schools on a three-hour delay, or a Transportation Delay. Some Hudson Valley Schools are simply closed for the day. Beacon City Schools are in a two-hour delay, and our delay call came last night, which helps with planning and rescheduling. Delays have become commonplace over the years when snow is expected to be on the ground in the morning. According to Beacon Superintendent Matthew Landahl, a small team from the school’s Transportation Department goes out at 3:30 am to check the roads to make a decision, since buses start their routes at 6 am. Well, you know what snowfall means: shoveling. And you know what shoveling means: chocolate chip pancakes! Or deep-dish French toast from Homespun, three-layer cake from BJs, a cheese danish from Beacon Bread Company, a hearty bagel sandwich from Beacon Bagel, or cut to the chase with a bacon egg sandwich from Mr. V’s or Bob’s. Permission granted to totally carb out. Be safe! Don’t overdo it. Take breaks. And don’t stand under snow-covered heavy branches of snow. OK, that’s a lot to remember. Enjoy! While this feels like a VIP pass (and you should feel like a VIP for having one, because you're seriously committed), it's really just a convenience so you can avoid scrounging for dollars in your pool bag or car. Season Pass Holders don't get priority for swimming; they don't get in even when there is a line at the gate when the pool reaches its capacity of 75 people - which happens quickly. But having the Season Pass makes life easier when you're just swinging by the pool for a quick dip. Otherwise, you may find yourself trying to justify heading out for a 20-minute "quick dip" and ask yourself if it's worth it. Answer: It is. Just go. There is no messing with this Poolside Fashionista. No running! So, there is this issue of the pool often having a line to get in. And you can't bribe the pool bouncers - we've tried. Waiting isn't soooo bad, as long as you are prepared. Bring snacks, maybe a soccer ball or your own radio and a low volume. Don't walk away or expect a fancy paging system to buzz you when you're next in line. Stay close to the fence to hear your name being called. You can bring your own, but you can't eat it within the pool area. They don't want too many extra bees flying around. Why Does It Open at 2 pm? We've heard this before. No the lifeguards aren't just rolling out of bed then. The pool staff has actually been there for some time, teaching swim classes and entertaining campers from around the area. The afternoon is when it opens to the public. The Beacon Pool keeps an "unofficial" Facebook Group, where they often post their hours for the day. Hours don't generally vary unless something unexpected happens, like a thunderstorm or cleaning of the pool. If you're not on Facebook, you're out of luck in terms of updates. Which is why we would encourage the pool to develop a basic website to post their updates! 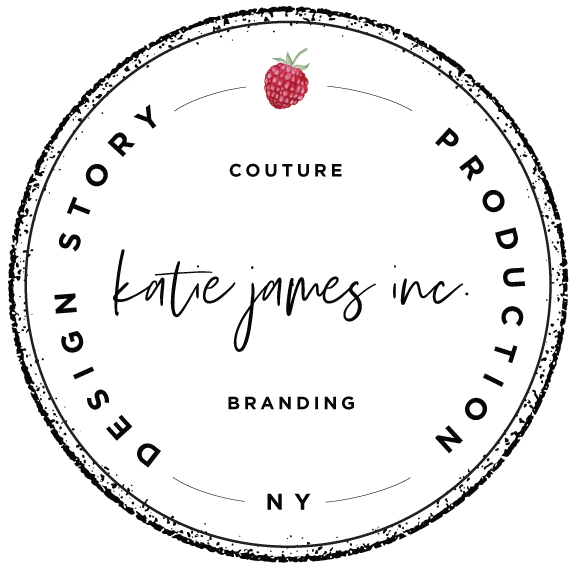 Email Katie James Inc. for help... (wink wink). Who Can Go? 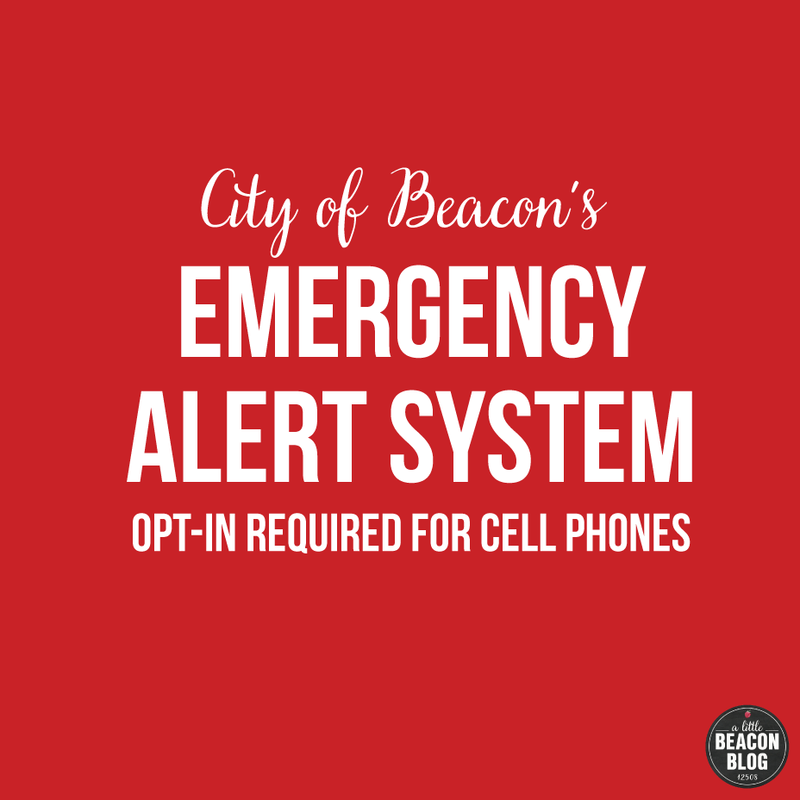 Only Beacon Residents? Speaking of the public, anyone can go. Anyone from any city, town, county or state. 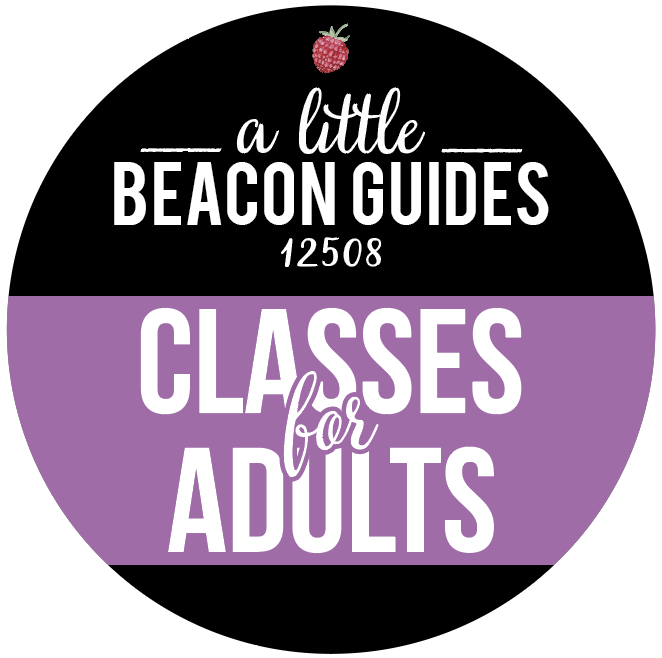 You do not need to be a Beacon resident to go. Where Is the Beacon Pool? It's really hard to see from the street. In fact, you can't see from Route 9D - it's hidden behind trees and woods. The Beacon Pool is located at the Park at The Settlement Camp, 724 Wolcott Ave., Beacon. It is across from the Craig House. How Accessible Is the Pool? The pool itself is 140 feet by 50 feet, and progresses in depth from 2 feet to 8 feet deep, making it perfect for swimmers and water lovers of all ages. You could step down and wade into the pool. 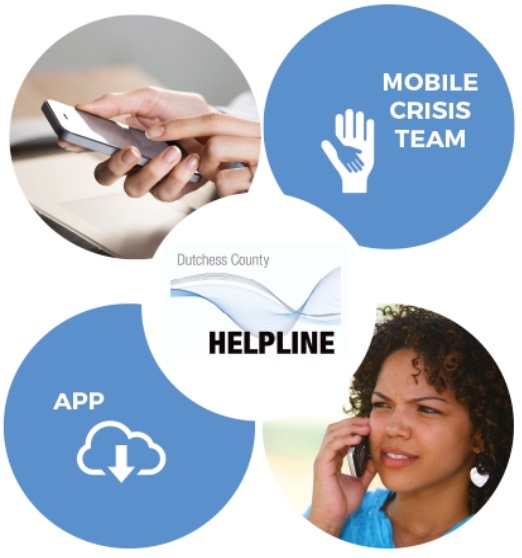 There are steps available for those who need them, upon request. The basic bathrooms on-site could serve as a changing room, but the floor is pretty wet from other swimmers, so change at home if you can. Mostly, the pool is in the sun. This year, new blue and white striped umbrellas provide some shade! The very end of the day is a great time to go - like after 5:30pm. Most likely, there will still be a line, but shade starts creeping in on the sides. Call it a heat wave, or just call it summer in the Humid Hudson Valley. Either way, you're going to need water to dip into. If you are too dazed to get down to the River Pool in the Hudson River, then head to Rite Aid to get this big blowup pool. Adults can fit into it, as well as small mermaids. Mermaid tails aren't included, but you can get an actual one here. Swim for free in your backyard, or in the River Pool. Be sure to pick up an air pump at Brett's True Value down on West Main Street (on the way to the Metro-North train station). The pump will make it a breeze to inflate the backyard pool! 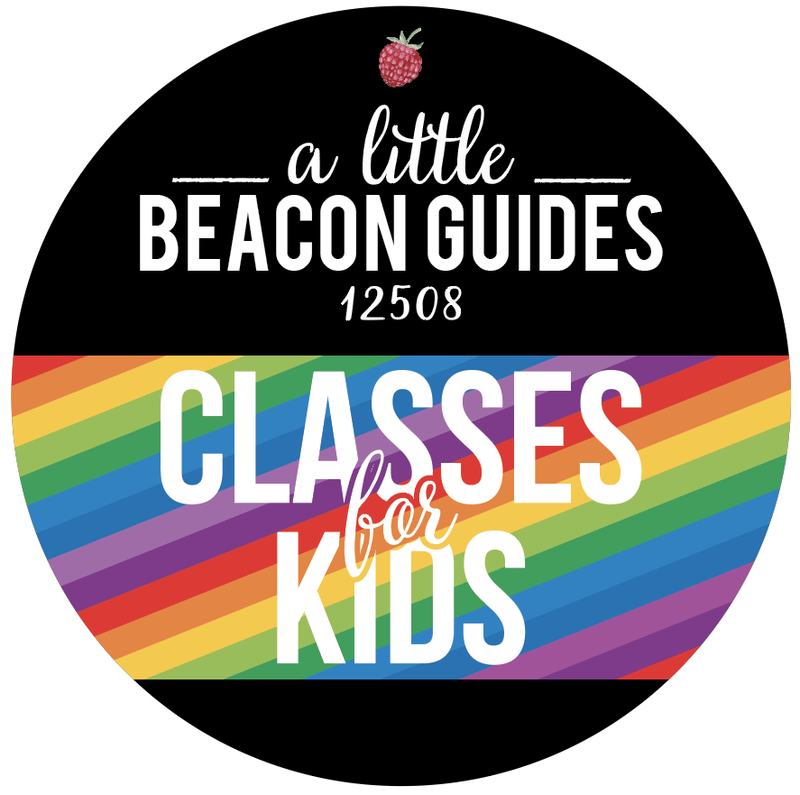 Quick - what's the prettiest way to tell what season it is in Beacon? Look up, to Main Street's lampposts, and see what's hanging as the seasons change. In the winter, it's wreaths and illuminated stars. In the spring and summer, it's the petunias. But these petunias don't water themselves. And where do they come from, anyway? The Tioronda Garden Club pays for the hanging baskets, and Sunny Garden Greenhouses, the nursery north on Route 9D past Stony Kill Farm, makes the hanging baskets. Mayor Randy Casale and former councilperson Sam Way water the baskets in the early morning, and have done so ever since the baskets were removed from the City's budget years ago. Fundraisers are put on each year by the Tioronda Garden Club for the hanging baskets (we covered it last year), so watch for your chance to help! And just look at the Tioronda Garden Club's new website, with all of their events listed! This is a great way to connect with other gardening enthusiasts. You could even possibly be one of these secret gardeners on Main Street, if you wanted to join the Tioronda Garden Club. This year, my photo of the petunias is from inside A Little Beacon office at 291 Main Street, in the Telephone Building. I don't recall seeing the hanging baskets last year outside my window, but I'm so happy to see it daily now! Watch for Giant Turtles Crossing - What Do They Do On The Other Side? 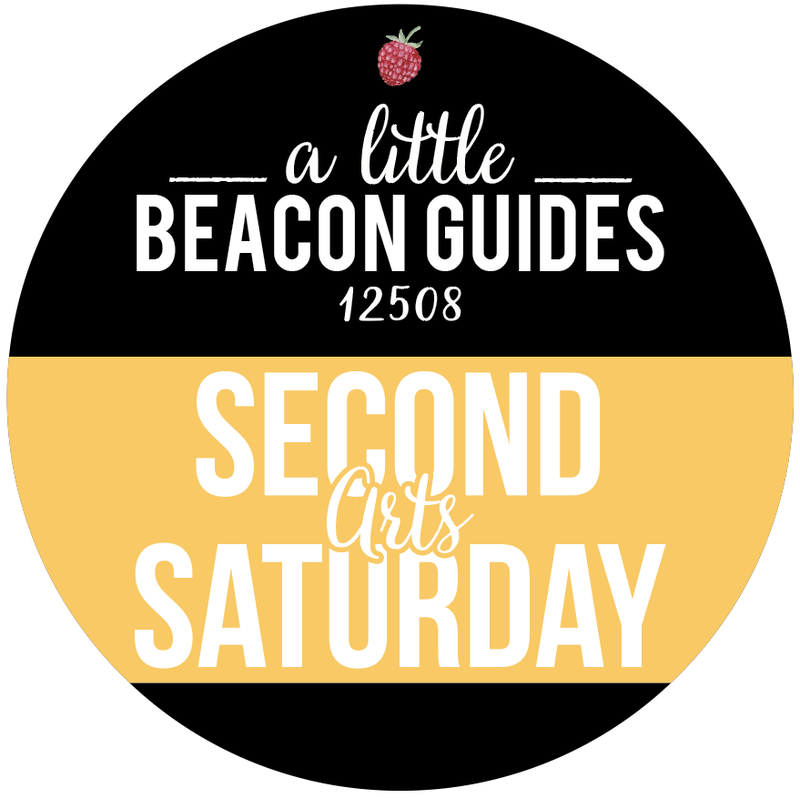 In last weekend’s edition of the Highlands Current, the reporting was turned on Beacon beat reporter Jeff Simms, who normally writes up Beacon news for the newspaper. His animal-rescue experience landed him front-page treatment. Normally, his own article would be in this spot. Last week, however, he himself was in ink (not the ink on his arm, but on the page). While riding his bike down Route 9D from Beacon to Cold Spring on his way to the Current's production meeting, Jeff spotted this snapping turtle gradually making his way across the road. According to the article, Jeff pulled his bike over and attempted to encourage the turtle to go faster or move away from the busy road. May and June is prime time to see snapping turtles, which are one of 11 species native to New York. In the late spring and early summer, they're on the move, laying their eggs in sandy areas or loose soil, according to the Department of Environmental Conservation (DEC). The DEC issued an advisory last year reminding motorists to watch out for migrating turtles, whose populations are declining. "The reptiles lay just one small clutch of eggs each year, which means the loss of a breeding female can have a significant effect on the local turtle population," according to the advisory. Suffice to say, the turtle that Jeff spotted was on a mission and would not be deterred. But its slow progress left it vulnerable, so Jeff’s next move was to call in the professionals: Mark Price, Beacon’s own director of the parks and recreation department. Together, they moved the turtle by lifting it by either side of its shell, the method DEC recommends if you need to move one (see the DEC's full recommendation on how to move a turtle to safety). Exciting times for this Tree City! Beacon is an official Tree City, as designated by New York State’s Urban Forestry Program, which “fosters comprehensive planning, management and education throughout New York to create a healthy urban and community forest and enhance quality of life,” as stated in their mission. Spotting snapping turtles is a reminder that we are surrounded by an an ecosystem of fauna and flora, turtles to treetops, and it's good to keep them healthy!